'Tis the season for scaring the bejeebies out of oneself and Ghost Adventures is here to help! 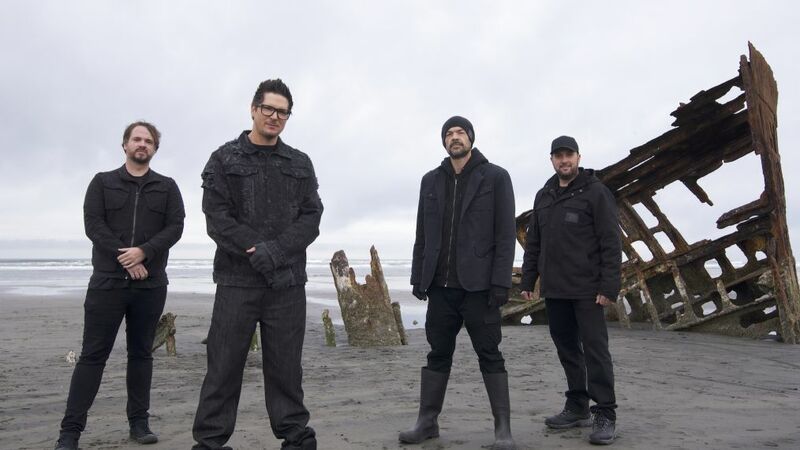 As the series celebrates 10 years of night-vision investigations and EVPs that make you go "hmmm," Zak Bagans and his squad of Aaron Goodwin, Billy Tolley, and Jay Wasley are heading to the “Graveyard of the Pacific” for a four-part mini-series. 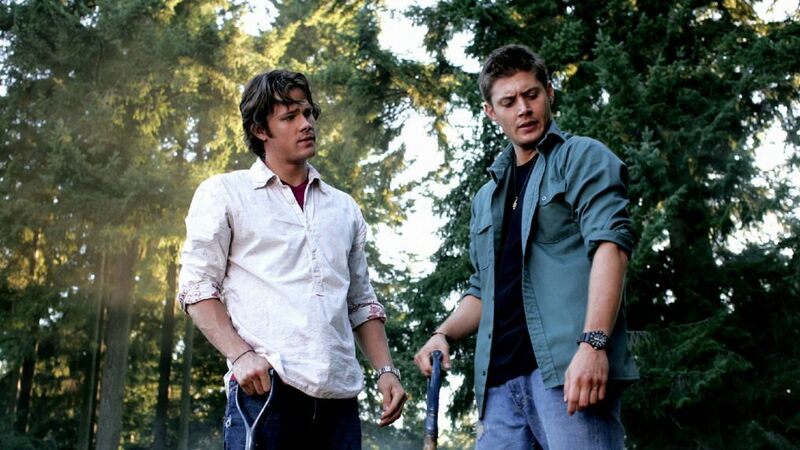 The series is focused on a notoriously ominous region within the Pacific Northwest where the freshwater of the Columbia River meets the Pacific Ocean. The site of thousands of deadly shipwrecks and countless lost lives, as well as a slew of unexplained deaths, diseases, fires and murders, you just know this stretch of nautical nightmare from Oregon up to Vancouver is hella haunted. Here, Bagans explains why he's playing in this ghostly "Graveyard" and what supernatural souvenirs he brought back with him. OK, so let's talk about this four-part Ghost Adventures show. Zak Bagans: Yes! "The Graveyard of the Pacific." Why did you decide on this location? When I was little, I would have this recurring dream. I'm talking two years old, maybe three. I was on this old wooden ship and it was in this horrific storm. Everybody on the ship was screaming and yelling for their lives. This is one of the reasons why I have a phobia of the sea. And that's when I knew, too, when I was little that I was just kinda different in terms of having a sense for another dimension of life. And in this dream, I was knocked over into the ocean and then I would wake up. To be a little kid and not even know the details of ships and the ocean and screams and stuff like that... to have that vision infused in my mind as a little kid and to dream about that, it led me to believe that I was in a past life on one of these ships. I think the Graveyard of the Pacific led me back to finding answers or maybe a little bit more about how the ocean can just take so much life and the horrendous last seconds of dying due to drowning. It scares the hell out of me. But it's so mysterious and the Graveyard of the Pacific is one of the most treacherous areas of the Pacific and there are thousands and thousands of lives that were lost and ships that went down in this area where the Columbia River meets the Pacific. Oh, and around that area, that's where The Goonies filmed, in Astoria. [So] when we get there, all these weird things start happening. We were approached by this weird, creepy homeless lady telling us, "Beware of the demons in the underground." It's like an H.P. Lovecraft story, when this unassuming character comes out and starts warning you of aliens and demon forces that are gonna jeopardize you, so it's really interesting. We also explore a local lighthouse where there was a mysterious suicide. Actually, the lighthouse was an extremely profound experience for me personally. There was a mysterious suicide of the innkeeper's wife there and as we were investigating that, I believe her husband came through and we had a psychic medium there that also picked up on his presence. I believe he came through and channeled through me and it was one of the most interesting, terrifying and yet exhilarating experiences all in one. I'll never forget it. Very interesting and I love being able to just take the audience to an area and just dive really deep into the town with the locals, the history and the culture of it and all of those different elements combined. The most important thing is finding answers. Mysteries of the afterlife that are going on there. Also, there's this demonic kind of crisis that's going on with an old hostel there that was really, really creepy. This place sounds like the hellmouth! Yeah. I mean you hear me, I can't stop talking about this. That's just how it was. When we got there, we filmed for a couple weeks and my brain never stopped smoking just because of how much was going on there and so many different elements of the investigation. At one point, we meet a demon-seer. She could see demons! She was one of the more, wow, she was a very interesting guest. She took us into the basement of the Norblad Hotel and told us there was a demon there that has affected this other couple that we met. This lady touches my arm and wants me to then be able to experience her gift of seeing, hearing, and feeling demons. That was one heck of an experience. I don't know if I'd want to pick up that skill set. I'm open to everything. We meet so many interesting people on these Ghost Adventures and that's also what it's about, too. Seeing their connections to the other side. Have you brought home any unwanted spirits that have attached themselves to you? All the time. But lately, I've been really good. I haven't been strongly affected by anything in over a couple years. But when I'm on an investigation and I have some interactions, they may be for just thirty seconds, it may be for five minutes. I'm gonna go back to the Graveyard of the Pacific. When I had that experience of what I believed to be this lady's husband come through — and the reason we know it's her husband is he was speaking to us through a spirit-box device — that moment lasted, for me, a good 30 minutes. After that experience, I just couldn't move. I wasn't myself. I call it a "lockdown hangover." It's about two to three days of just... you're not yourself. You have no energy and that's usually when I have those attachments. But those, I believe, are from human spirits. The demonic stuff, that can last weeks to months. What do you do to get rid of them?! I have my own methods of cleansing myself. Different breathing exercises, mediation, I use various crystals to expel that kind of dark energy. Mother Nature. My pet dog. We just go out in nature and just really do a transfer of energy from what Mother Nature gives and I expel it, just like the black diesel smoke of a truck. I have a lot of different methods like that. I also believe that I've built up a strong shield of spiritual armor over the years. I just have dealt with these situations so much that I know how to deal with them a lot better than I did when I was younger.